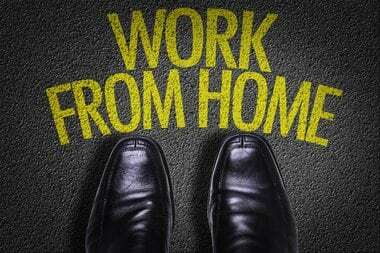 Working from home adds flexibility to your work-life balance. Your employees won’t need to take a day off from work for a dentist’s appointment or a meeting with a child’s teacher — they can work around their personal tasks. · Happier employees — Working from home means more productivity — between 10 and 43 percent more. Why? Most people do their best work when they’re not in the office. · Cost savings — You save on real estate costs, as there is no need to lease office space or new facilities as your team grows. The savings can be used for more strategic initiatives. · Bigger talent pool — You are no longer restricted to your geographic area — and you do not need to relocate people to access a bigger skill set; this setup also affords extended business hours. · Lower carbon footprint — Employees commute less and produce fewer greenhouse gas emissions. This means lower heating, cooling, water and electricity bills. · The trust factor — Here is a top issue: Are employees doing their jobs? Some managers worry about what their employees are doing and whether the employees are wasting time on personal tasks. · Reduced team collaboration — Everyone is off doing his/her own job in separate silos, with little face-to-face interaction, so no one is reading their colleagues facial expressions or body language. · Social isolation — Loneliness is an issue if there is no opportunity to “hang around the water cooler” to chat, which means that feelings of detachment can increase. When employees are in different time zones, there may be even more disconnection. The secrets to virtual teams’ productivity? · Set ground rules. Employees should have a dedicated working space in their homes that is within reach of their phones and/or computers. Company policy about this needs to be clearly stated so that employees can be held accountable. · Provide face time. Use webcams for meetings and email largely for general communication. Use Skype, which allows multiple people on webcams at the same time for free. Chat via webcam for at least 10 minutes a day. · Reporting. Mandate reporting protocols. Set a system to track the flow of projects. Link critical files in a central place for easier managing. Google Docs lets remote users share and set up report templates. There’s a common belief that virtual workers don’t work as hard as they would if they were in an office, but many people think the opposite is true. Ask for daily, weekly and monthly reports to assuage any worries that someone’s not putting in their time. · Spend a few days a year meeting face-to-face. This allows employees to bond, especially if team-building retreats are part of the approach.